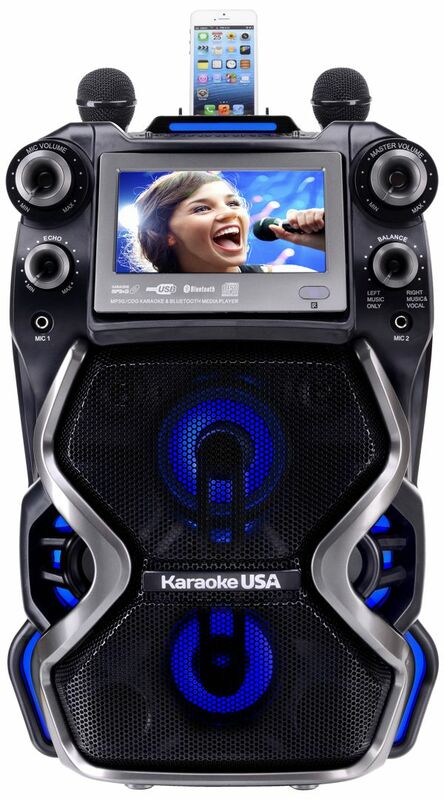 Kick it up a notch with this powerful digital karaoke player and PA system combo with 7" color screen. Outstanding speaker performance provides a professional experience your crowd will remember. As well as playing digital MP3G downloads, it plays your legacy CDG karaoke discs. Display song lyrics on screen or output to your TV screen. Connect your smart device, using Bluetooth, to play any audio stream on this unit's powerful speaker system. It will accommodate dual microphones to keep the crowd involved. Get the party started!